What you put on your body is as important as what goes in it. 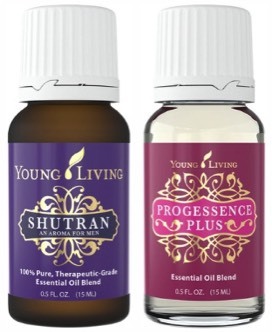 Young Living's unique personal care products are formulated with Young Living Essential Oils and other plant-based ingredients to ensure they are safe, toxin free, and effective. Total wellness begins At Home. ART® Refreshing Toner is the reset button for your skin. While cleansing opens pores, this often-overlooked step closes them to smooth the skin. Gentle and non-drying, ART Refreshing Toner nourishes, banishes any remaining impurities, and balances, while infusing the skin with a smoothing combination of pure essential oils, green tea extract, and other natural extracts. Chinese tradition has long revered the power of the orchid, and today its petals are highly valued for their reparative and protective properties. With A·R·T Renewal Serum, Young Living has combined the remarkable properties of the orchid (Phalaenopsis amabilis) with the skin-enhancing benefits of pure essential oils and other natural botanicals to create a beauty product unlike any other. The premium ingredients found in this unique formula work in harmony to deeply nourish, hydrate, and help restore youthful skin creating confidence and wellness that radiates from within. Immerse yourself in the natural richness of the exquisite orchid flower and 100% pure Young Living essential oils. 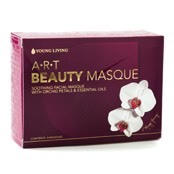 The A·R·T Beauty Masque is a premium beauty product that harnesses the orchid’s exceptional longevity features and combines it with the health-promoting benefits of essential oils and other natural botanicals. This spa-quality formula pampers and soothes the face to leave it feeling visibly more radiant, while also protecting skin from damaging environmental elements. Lavaderm Cooling Mist - Bring relief to stressed skin with a blend of gentle skin-soothing ingredients including lavender essential oil aloe vera. Spray directly onto the affected area and repeat every 10-15 minutes until desired relief is achieved. Lavender Bath and Shower Gel - Relax your body and rejuvenate your mind with a soothing bath of nature's finest lavender essential oil. All-natural ingredients work to refresh and condition your skin as you unwind from your busy day. Pour directly into the water for a luxurious bubble bath, or drop a quarter-sized amount onto a bath sponge and lather. Lavender Rosewood Bar Soap - Soothe and soften the skin as you cleanse with a nourishing all-natural formulation of ingredients such as aloe vera, jojoba oil, and nature's finest lavender essential oil. Repair and moisturize lips with nourishing blend of ingredients such as lavender essential oil, jojoba oil, and vitamin E.
is rich in botanicals that quench dry, parched lips while protecting from climatic extremes. It contains nourishing essential oils, wolfberry seed oil, and antioxidant vitamins A, C, and E.
Use daily for cleansing and nourishing, Suitable for all hair types, Contains botanical extracts, Vitamins, silk protein, and the benefits of pure lavender and mint essential oils. 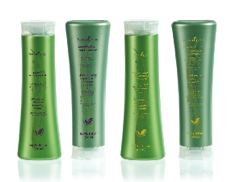 Moisturizing formula that provides hydration to dry and damaged hair. Gently cleans and protects without over-drying. 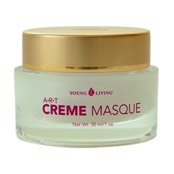 Formulated with botanical extracts, vitamins, silk proteins, and the benefits of pure copaiba and vanilla essential oils. 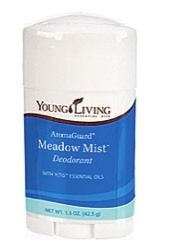 Provides a soothing aromatherapy experience. 1. Thieves® AromaBright Toothpaste, 60ml. 2. Thieves Waterless Hand Purifier, 29.5ml. 4. Thieves Fresh Essence Plus Mouthwash, 60ml. 9. Morning Start™ Bath & Shower Gel, 60ml. 10. Genesis™ Hand & Body Lotion, 60ml. These travel-sized toiletries make Bon Voyage convenient as well as compact—a perfect size for carry-ons or handbags offering you a complete collection of personal care essentials when you are on the road. In addition to being an essential travelling companion, Bon Voyage also offers a perfect opportunity to share Young Living’s products, message and benefits with others – whether on holiday or in everyday life. Don’t leave the house without it! 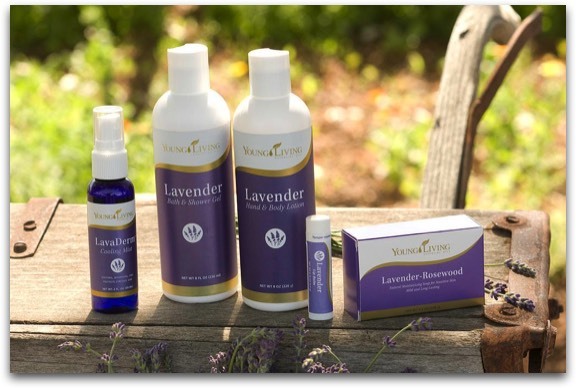 You can view the full Home and Personal Care Product line on Young Living's Virtual Product Guide.